My thought this morning was of you and how you have always been touched by softness. You harbored no hard ambitions, no cruel intentions, just softness and acceptance coupled with the drive to love and support those who were dear to you. Being a clover, you did not always fit in the lawn, nor did you posses thorns to protect yourself from the dangers of living in this wild, wind tossed world. You had the strength to bloom and survive in spite of the efforts of others to keep you down. And all throughout the trials and tribulations, all the struggles that seemed to seek you out, you maintained a soft strength that allowed you to carry the love for your family in your heart and soul. So when you look upon a clover flower, dear weed lovers, look deep into the beauty there and breathe in the soft wafting scent of a small thing with great power. 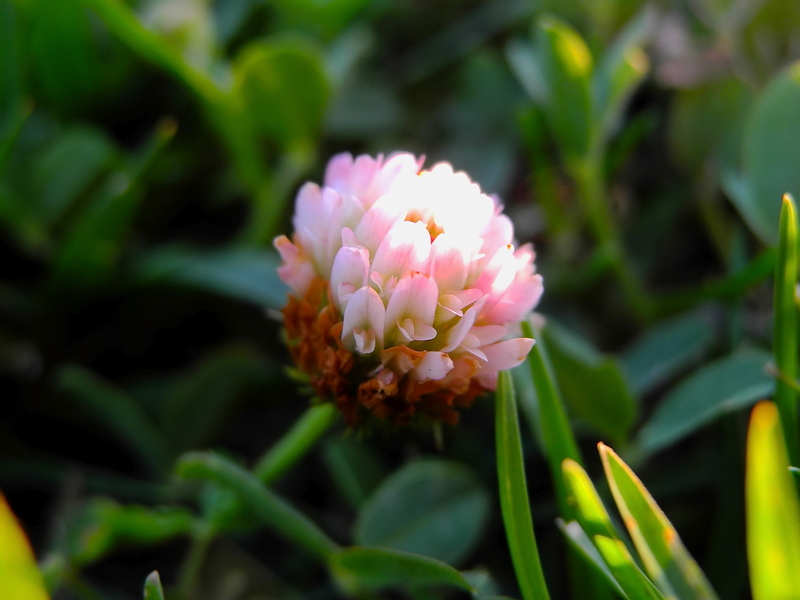 A clover flower has the power to bring softness to the morning, and to a soul; a quiet space of contemplation. We may be too busy to notice them daily, but when all the clovers are gone, it is then they will be missed.